What Is The Best E-Commerce Plugin For WordPress? 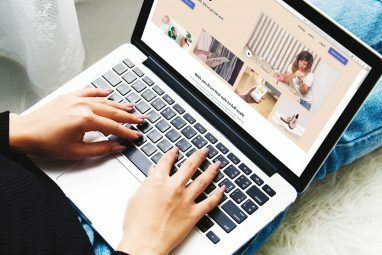 In my previous posts on 10 things to do when setting up an online shop 10 Things You Should Do When Starting An Online Store 10 Things You Should Do When Starting An Online Store Setting up a store on the Internet is ridiculously easy. Seriously, if somebody tries to charge you thousands for installing an eCommerce solution, just smack them. 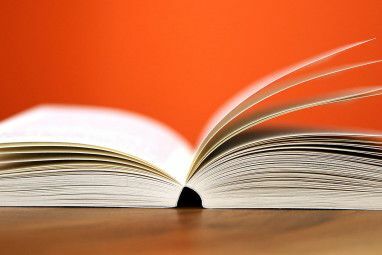 The hard part is getting search engines to care... Read More , picking a system was number 1, so let’s take a look at some of the top choices. This is by no means an extensive list, because I’m not in the business of wasting your time by telling you about new plugins that no one uses or cares about. I’m going to assume you actually want to get on with the business of starting a shop, and you’re arriving here perhaps with a few plugins in mind already from your own research. Before we do that though, it’s time for some universal truths. My WooCommerce site – DuinoBits.com, with Arduino starter kits and sensors. Explore more about: Online Shopping, Wordpress Plugins, Wordpress Themes. I am the founder of Cart66 and we've been making a bunch of updates and improvements lately. One of the big updates is the introduction of a lower priced option that includes everything you need to start selling for $9.99/mo - including support for 100+ different payment gateways and all the security so you don't even need an SSL certificate. So, hopefully Cart66 is now one of the best values for people just "testing the waters" as you said. It would be awesome if you could update the post to mention the lower pricing. If anybody has any questions or if there's anything I can do to help, please let me know. Woo commerce is all great until you come to the checkout pages...these have terrible layout that is very difficult to change. I've now had to start from scratch because I simply cannot get a clean professional layout for the shopping cart pages. These pages ARE the most important of the entire site, yet Woo have let themselves down here...I'm not willing to do coding and sit there fixing it all day long...very disappointed. Thanks for this solid write-up James. My company provides a range of services for customers. I'd like to develop a shopping like experience in which they could select from a range of services (akin to products), and then request an estimate from us for those services. I could do this with a form plug-in like Gravity, but would really like to include the visuals and filterable categories of a shopping experience. Any suggestions? WooCommerce could certainly handle this (perhaps using the virtual products option), but you'd need to massively overhaul the user interface of the theme - things like not displaying a price on products, changing "add to cart" to "add to estimate", changing the checkout process process so it was more like "request information on this package", removing the payment step completely. It's a quirky use case - certainly doable, but you'd need to hire someone to make those modifications. I'd expect to pay around $1k for those kind of changes to an existing theme; much more if you're going to asking someone to design the template from scratch. I have Woo Commerce with Avada theme in our store but we are having a lot issues every time a plugin update. Do you know if the Avada theme is fully comparable with woo Commerce? We are interviewing several web developer for our site problems but one of them said that Avada is the issue and recommended us to move to Porto theme. I'm really frustrated because I don't have a lot knowledge and i'm afraid that people are taking advantage of me. HELP! Hi Carlos, I'm afraid I haven't heard of either those - it's been a while since I've been theme shopping - but from a coding perspective there are easier themes to work with and more difficult themes. Some use the correct WooCommerce code, and some just hack it in place so it works, usually until the next update. A good developer should be able to work with either, but it is ultimately easier to work with a theme that has been using the proper framework. Is Avada on ThemeForest too? Checking through the comments and the developer response is usually a good way to judge if a theme has serious issues or not. Buying directly from an agency obscures that. Porto must be popular for a reason. Actually its really difficult to tell in a word but few of the above really has some cool features. Previously we used to have our site http://www.bdshop.com on woocommerce plugin but when we redesign it then we go with magento instead of WP. If you have small products and not much more visitors then WP is ok and this article really could help others to get some good idea which plugin they should use. Thanks #James for writing such nice article with very clean and step by steps. I would love to use WooCommerce in my website.It is really easy to use. All it's themes and extensions are great. WooCommerce designs are really attractive . Yeah, until you get to the checkout pages...and can't change anything - then you realise you're going to have to fork out for more plugins to override the template, then find it makes a hash of it, then you need a developer...and it costs $250+ on Fiverr...all you want is a simple, clean layout...nope, not with Woo. Thank you for a well considered and well written article, and all the time and thought that you have put into it and your replies to people's comments and questions. I'm setting up a WordPress website to sell sheet music by download. I'm trying to work out which is likely to be the best ecommerce option to use. shopping cart so people don't need to pay for everything individually. after 7 months of discussing these things with Gumroad people and making some good practical suggestions I've received very little discussion, several dismissive responses and zero action (even on that serious PDF degradation problem, which was denied and ignored). Very likely many others are wondering how best to sell sheet music using WordPress. Not an easy exercise, it seems, although the needs seem simple enough. Thanks again - keep up the good work. Hi Laurie - WooCommerce provides the option to set products as "virtual", which is different from "downloadable" and could feasibly be used to sell sheet music licences. One simple way to solve this would be setup a single product as the downloadable (stamped) PDF, and have another product which is virtual and simply called "additional licences". Would that work? Hi, I chose woocommerce after reading this and other reports, however I am finding that their management of shipping is very restrictive and after hours of searching I cannot find a solution. All I would like to do is add the price of shipping to each product individually but am unable to do so. This is very easy in WP e-commerce which you don't like. I might have to go to it never the less as it is much easier for me to achieve what I want to do. It costs, but then it is an unusual use-case and that usually does. Would you recommend eCommerce for an affiliate site? I'm an affiliate for real estate schools and just want to present the details of the sale on my site before pushing the customer over to the school. Please let me know your thoughts or if there is a specific platform for this...thanks! Yep - tried that. No response from them at all. Really don't have time to chase them - pretty poor response from them. Tried a LOT of these plugins - couldn't get Woocommerce to work - incapable of actually showing any products. Shopp just breaks my installation - as do quite a few others. Calling these plugins 'free' is common when they are clearly not. Paying is fine, but be honest about it. Ecwid seems very nice - free is limited to 10 products - but you get a very nice cart and backend: very simply to setup. 100 products is around $12 a month - not to bad - larger shops are catered for. The only thing missing for the free and £12 a month is coupons - which is a shame. However, a nice product - works and doesn't break WordPress - very transparent in their dealings - refreshing in itself. For simple digital downloads - Easy Digital Downloads is nice - although to get multiple images costs around $40-50 - a bit steep for a core, in my opinion, feature. Anyway there are my thoughts. I would suggest trying to work through your issues with WooCommerce, it is by far the best with active developers and community behind it. Integrating into an existing them is a little more difficult though, which it sounds like you were trying to do. I might try Ecwid...and look at their checkout pages first...sounds what I may be looking for. I want it on WordPress so I can set up my own hidden landing pages to do direct response marketing. So Shopify etc don't work for me as you can't add extra pages of your own...Thanks for your ideas....yeah, not easy and quite a rip off in the beginning. I'm the director of a web design studio based in Derbyshire, UK. We've advocated the use of WordPress for the last 5 years, having used WooCommerce for the last 2 years to support e-commerce for a handful of sites. Our most recent site has required a lot of customisation - loyalty points, variable products, rounding up visible prices to the pound without effecting the amount of VAT amongst other things. We have experienced problems which unfortunately are not acceptable and WooCommerce simply state that they are acceptable. We will be checking out OpenCart for future E-Commerce projects. Great article, and I am certainly hard-pressed to find a great e-commerce site. The unfortunate thing for a lot of today's online products is a simple "inline" informative layout doesn't work. I'm in the office equipment industry, and I need a full fledged e-commerce complete with multi-tab layout under the products basic display and details so that I can include things like: Features, Specifications, Supplies & Accessories, What's In The Box, Brochures & Manuals, Service & Support and finally "reviews"... If I laid that out in a linear fashion I'd have a mile long page to sell this product. WooCommerce was a fork of Jigoshop, not the other way around! But well done for pointing out that setting up an ecommerce site is a big step up from a simple blog - it can really bite some people. I was a bit amazed to find that OpenCart is a bigger user base than Ecommerce and Magento combined. AND they don't advertise. I'll give it a try and come back later. But what were you against with it? So, I'll go standalone with the OpenCart as suggested. Thank you - good non-nonsense info! I have found myself using more bits from MUO recently for that reason. My habit today is to look for few superlatives and the reasonable cautions of good reviewers, but to carefully read the Comments. 1. At a minimum setup at least one copy Site. 2. Split the Site/s into separate WPress.org entry ports. 3. Backup weekly to a long way away. Out of Tsunami/accident range. 4. As a well-setup sales system is vital to getting the odd dollar in, I'm currently most impressed for a low-cost (zero!) Shopping Cart by Opencart.com , with very reasonable cost add-ons for anything exotic you may want. 5. AS always, I'll include PayPal as a key "quick closer". 6. I think I like MailChimp as a Mail handler. Any other suggestions are welcome as it will take me some experimenting to get a whole new setup established. Oh: One last hint I've learned: Don't play around with "faking" your Site, get it up realtime but put the entry page behind a password till real launch. Thanks for the reviews! Certainly got me thinking. Found this one and it seems like a bit too good to be true out of the box AND its "addons" aren't that expensive either. (As you mentioned, these are often a tricky bit). (I will be trying this one for sure). ALSO, I don't think it is a good idea (from past bitter experience) to incorporate too much into WPress - it then runs like a dog and becomes unweildy to keep. Forums 1&2, Shopping Cart, PayPal internally for "quickies/specials". I was also told recently to setup a WP.com blurg as a funnel to the others, as it generates attention across the WP.com network and WP.org doesn't. COULD THIS BE TRUE? Opencart is fairly standard, but I certainly wouldn't recommend it. 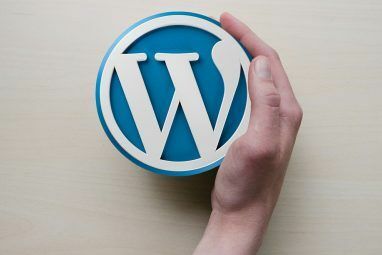 Creating a site on WordPress.com is worthless unless you want something that looks as generic as everything else; and you'll need to buy the premium service so you use your own domain anyway. Then expect issues when you inevitably outgrow the platform and need more customisation. Just - don't. 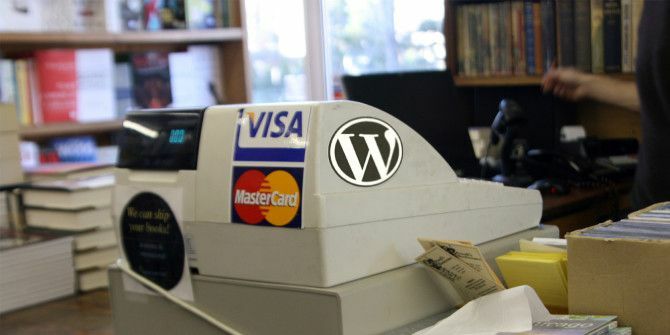 WordPress isn't inherently slow with eCommerce, but it will be slow if you're running on shared hosting or you overload the site with plugins. Keep it lean! I'd suggest Easy Digital Downloads as long as one isn't selling physical goods that needs shipping. EDD is lean and their support is good. For physical products, I mostly recommend Shopify – it's a lot smoother for the shop-owner to maintain, than a WordPress based shop. I say that as a web designer who have worked extensively with both. I have set up quite a few shopping carts myself. I have always used ZenCart and at some point, about 2 1/2 years ago was "forced" into using WordPress. After playing around with all the plugins you mentioned, I went with the Tribulant Shopping Cart plugin from http://tribulant.com/. Since my customer wanted tiered pricing, product variation options, multiple shipping options and many other things, Tribulant fit the bill. There were some minor bugs but the support was always there. I believe the license for the cart installation was $59. Last night I just upgraded the cart to their latest version. Of the eCommerce plugins for WordPress, WooCommerce is probably the way to go but I say the begrudgingly. While the "free" core plugin works more or less I have had some odd issues with it. Most were just annoyances but I have had to uninstall and nuke it. Also, the add ons that add any really useful functions are RIDICULOUSLY over-priced and your purchase is only good for a year of updates. I've come to the conclusion after wasting a lot of time and money that if you really plan to sell on the internet you should use a stand-alone eCommerce platform. Many of them have ways of integrating into a WordPress site in some fashion and for the peace of mind they offer your customers it's worth any learning curves or expenses. Hey James, Great review! I think Shopp has now become free on the wordpress.org repo, and they're charging for support instead (like Paid Memberships Pro), so it may be something you want to play around with out of curiosity. I found it interesting after being able to download it and poke around versus using their demo. These plugins are top contenders in WordPress eCommerce, and I think their long track records bode well for users. Thanks so much for including Sell with WP as well! Another good point towards WooCommerce: is quite well supported by WPML (through a dedicated plugin), meaning that it's pretty easy to build a multi language, multi country and multi currency eCommerce (at least easy as much as WooCommerce is to configure :) ). For someone who does not have a site yet but may consider going into e-commerce, would you recommend going the WordPress+plugin route or a more standalone alternative? WordPress I think. It gives you a lot more options than a dedicated site, especially for a beginner. It might be slightly limited in terms of pure e-commerce features, but its far more user friendly.